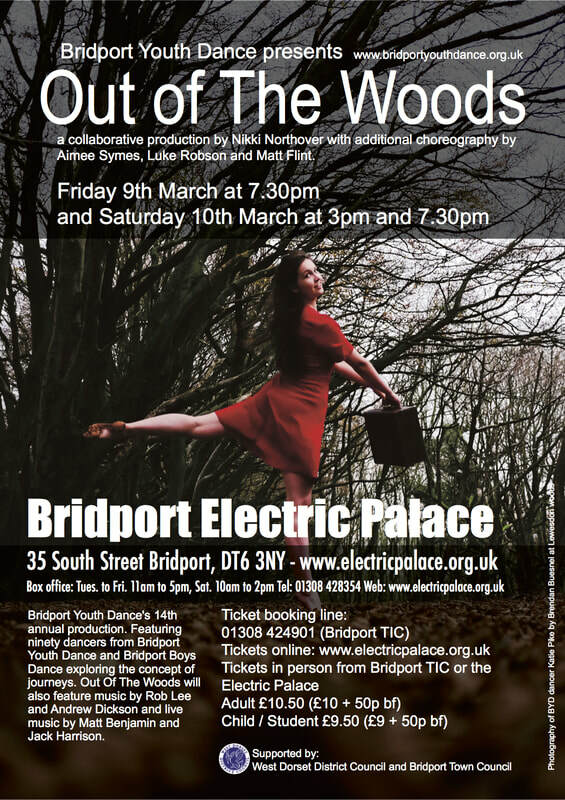 Our 14th annual production Out Of The Woods came to Bridport's Electric Palace on Friday 9th of March at 7.30pm and Saturday 10th of March at 3.00pm and 7.30pm. The show featured 90 students from Bridport Youth Dance and Bridport Boys Dance showcasing extraordinary tap and creative contemporary dance pieces. Out Of The Woods was a collaborative production by Nikki Northover with additional choreography by Aimee Symes, Luke Robson and Matt Flint. Out Of The Woods featured music by local composers Rob Lee, Matt Benjamin and Jack Harrison. Out Of The Woods was supported by WDDC and Bridport Town Council.